The Press Council for the first time picked one not by consensus but through a secret ballot. Recently, Katju tried to earn brownie points with the government by raking up an old scandal against the judiciary. 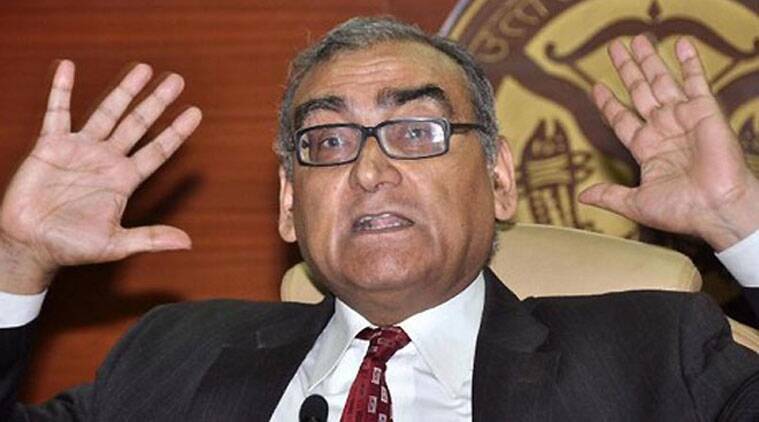 The three-year, controversy-ridden tenure of Markandey Katju as chairman of the Press Council of India is over, but he is anxious to be renominated. The selection is done by a committee consisting of the vice-president of India, Lok Sabha speaker and a representative from the Press Council. Katju, who began his tenure attacking the media, has now changed his tune. He has been telephoning journalists who are members of the Press Council to lobby his case. He was even agreeable to the outrageous proposal that Press Council members be provided iPads and personal assistants. The suggestion was shot down. With such interest in the choice of representative for the selection committee, the Press Council for the first time picked one not by consensus but through a secret ballot. Recently, Katju tried to earn brownie points with the government by raking up an old scandal against the judiciary at a time when the executive and judiciary seem to be at loggerheads over appointments to the Supreme Court. With BJP treasurer Piyush Goyal appointed as the Minister of State for Power, the party has to find a new treasurer. The reported favourite for the job is Parindu Bhagat, known generally by his pet name ‘Kakubhai’. A tax consultant, Kakubhai is extremely close to Prime Minister Narendra Modi and BJP president Amit Shah. His father was a prominent RSS leader who was Modi’s mentor. Kakubhai is Modi’s backroom boy in Gujarat and headed his election cell. But the question is can there be yet another Gujarati in top party posts? The Congress is sanguine that the eventual revelation of names in the list of those holding black money in Swiss bank accounts will not embarrass the party. Of the five names allegedly linked to the party, two are dead. The fortunes of four can be traced either to private wealth or individual corruption. The case of one account holder who passed away more than a decade ago is, however, intriguing. He was chairperson of the party’s newspaper group for long, was a loyal factotum of the Gandhi family and was once a power to reckon with in Indira Gandhi’s household. During the 10 years the UPA was in power, Shashi Tharoor played the part of a loyal Congressman. So much so that copies of his doctoral treatise, Reasons of State, mysteriously disappeared once he was in government. Tharoor had panned Indira Gandhi’s foreign policy between 1966 and 1977 in the book. Tharoor also kept silent about his magnum opus, The Great Indian Novel. The book, a work of fiction, takes its inspiration from the Mahabharata and many of the characters are thinly disguised take-offs on such Congress icons as Jawaharlal Nehru and Mahatma Gandhi, who are portrayed in a negative light. Priya Duryodhani, the villain who is the daughter of Dhritarashtra, is modelled on Indira Gandhi. The Congress is compared to the villainous Kauravas. However, since Narendra Modi became Prime Minister, Tharoor seems to have lost his inhibitions. The novel was re-launched with much fanfare in September. Gujarat Chief Minister Anandiben Patel inherited an all-male cabinet from her predecessor Narendra Modi, except for MoS Vasuben Trivedi. However, the perception in Gandhinagar is that Patel is more comfortable with women rather than men. Which is why there is speculation that she might induct some women MLAs when she goes in for a cabinet reshuffle. Besides, Trivedi may get Cabinet rank. Patel has already inducted women in key positions in the Gujarat government. The Ahmedabad Municipal Commissioner is D Thara, an IAS officer. Geetha Johari, an IPS officer, is likely to become the city’s next police commissioner. Mamta Verma is Industries Commissioner, Sonal Mishra is Tourism Secretary, Anuradha Mall is Commissioner, Women and Child Affairs, Anju Sharma heads the State Disaster Management Authority, and Arti Kanwar has been appointed Special Commissioner, VAT. Former UPA minister Anand Sharma is a regular morning walker at Delhi’s Lodhi Garden, which is frequented by many of the Capital’s power elite. He recently wrote letters of complaint to New Delhi Municipal Council (NDMC) and the Director General of the Archaeological Survey of India, objecting to the introduction of stepper machines and weights at the entrances to the garden. Sharma said it was “unacceptable” to try and convert the historic and scenic garden into a gymnasium and fitness centre. Sharma’s protest worked. NDMC has removed all its equipment.